Blends -R- (br,cr,dr,fr,gr,pr) differentiated sorting activity. 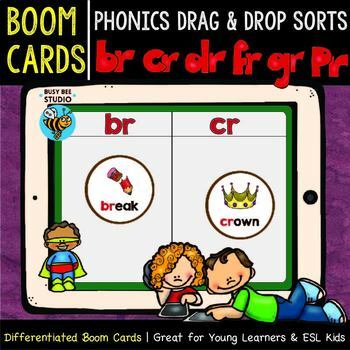 These drag and drop boom cards will help your students practice beginning blends -r- words. ★ Beginning Blends R Game "I have, who has"